This is a one-stop shop for any teacher in 5th Grade to set up and run their own Spelling Bee. All of the words have been matched to the needs of the agreed syllabus and the resources are complete - ready to print and go. 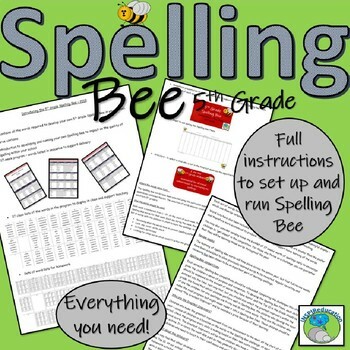 This product contains all the resources you need to support Spelling Bee in 5th Grade for the whole year and has been tried and tested and improved by us in our classrooms for the past 4 years. In total, you receive 80 pages of resources and a 101 slide PowerPoint. Everything you need is here and was developed by us as we couldn't find anything on the market for 5th Graders to take part in the Spelling Bee tradition - so for the past four years, we have done it ourselves and it has been an incredible success. All of the resources developed and included here are the results of tried and tested methods. The overall benefit of this product is that the children love Spelling Bee, even after four years. 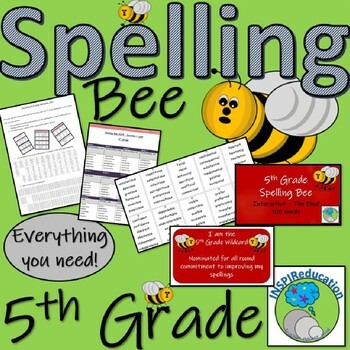 5th Grade Spelling Bee - over 181 pages of resources - Everything you need! 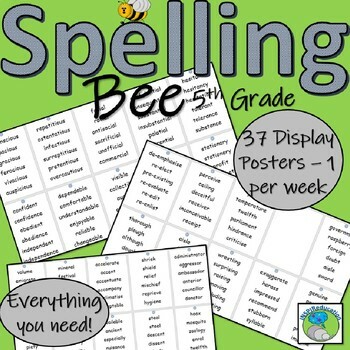 4th Grade Spelling Bee - over 178 pages of resources - Everything you need! 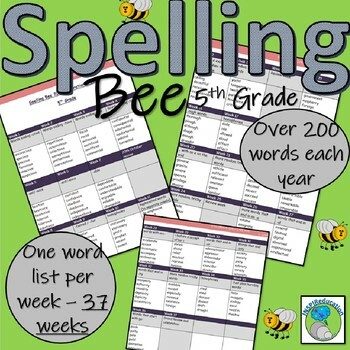 3rd Grade Spelling Bee - 178 pages of resources - Everything you need! 2nd Grade Spelling Bee - over 200 words lasting for 1 whole year. All You Need! 1st Grade Spelling Bee - over 200 words for 1 whole year. All You Need! FREE DOWNLOAD - Kindergarten Spelling Bee - Everything you need! We hope that you enjoy this product as we much as we have enjoyed using it, developing it and refining it into the resource that we are happy to place in our store. Please view the 8 pages of preview to see resources included.